I have a fair sized lawn that takes a few hours to cut with a standard push mower. 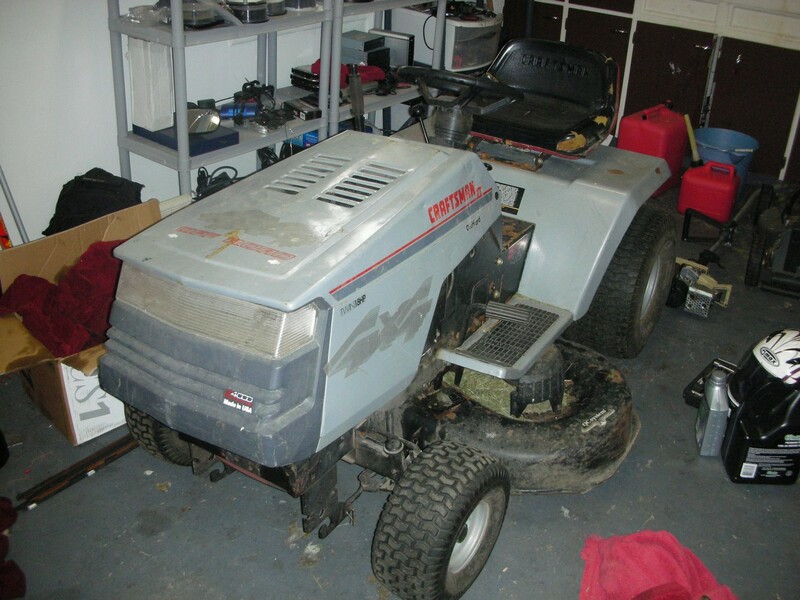 A few years ago I picked up a walk behind style mower with a decent size engine. It was already old and tired when I purchased it and is only getting more tired with each cut. I replaced the air filter, blade and spark plug which bought it a little more time but it has definitely seen it’s better days. I decided to pay a friend who is out of work to mow my lawn using my equipment and my gas, this cost me $40 and as I started doing the math $40 x twice a month for 6 months a year = $480. With that number in mind I started thinking it would be much more beneficial if I just bought a riding mower for around $500 and continued to cut the grass myself. I recently changed jobs so I exhausted any spare cash I had and I took a $4k yearly pay cut which means I didn’t have any money to pay for a riding mower. I waited 2 weeks after my friend cut the lawn and either was going to have to get out there myself and push it or start looking for a riding mower. I found quite a few nice mowers for $500 but I was broke and had $300 at the most to spend. 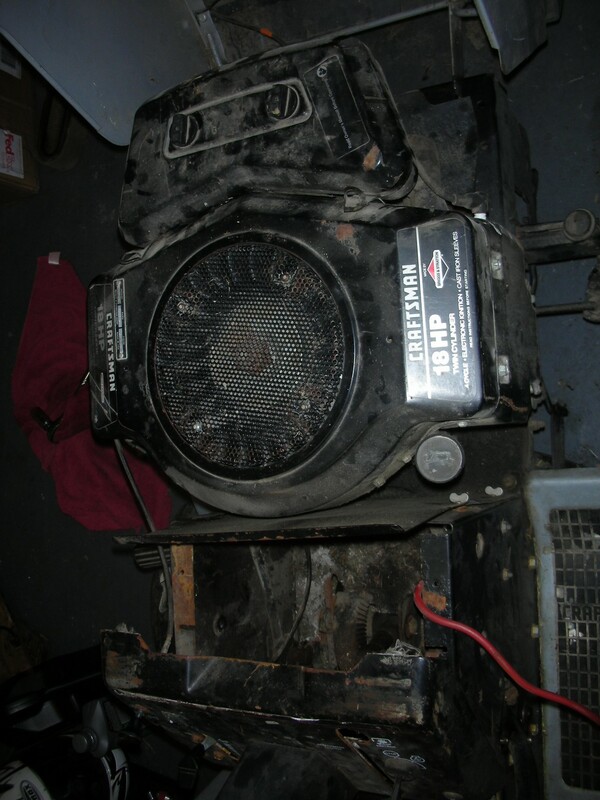 I also wanted something big that would last and I was only able to find 38″-42″ decks with little 10hp-12hp motors. I stumbled on an older Craftsman with a nice big 18hp Briggs and Stratton motor and a 42″ cutting path. I knew right away this thing would need some work but the beauty of a Craftsman with a B&S motor is that you can easily find parts for it. I went to look at the motor and attempted to talk the seller down on price but was unsuccessful considering it was already fairly cheap. After looking over the motor in person and hearing it run I could tell I was going to have at least $100 into this thing in just routine maintanance parts alone, BUT it runs and cuts as is for $250 so I bought it. I brought it home and cut the lawn with it and noticed its a little low on power and the engine “hunts” as its running at full throttle. I also noticed it jerks or speeds up and down as your driving it as well. I went ahead and ordered over $100 in new parts and started the LT4000 project you see here. I too was impressed with the 18HP B&S engine,LT4000.I purchase it for $350. It runs loud and the engine races up and down. Do you has a model#. Also, the steering column broke,as I unload it. Any suggestion on how make repairs. The racing up and down is because you need to rebuild the card, even after the rebuild I noticed mine will do it after sitting for some time. This is because the needle sticks in card. Here are some carb rebuild instructions I wrote. The steering can be fixed with a few cheap parts from Sears, They have all of the parts for the Craftsman in their online store. You will need the plastic retainer which goes around the column on the dash board and there is another gear looking part that goes on the end of the shaft that is likely warn out too. I have more posts on the Craftsman as well, just search my site.